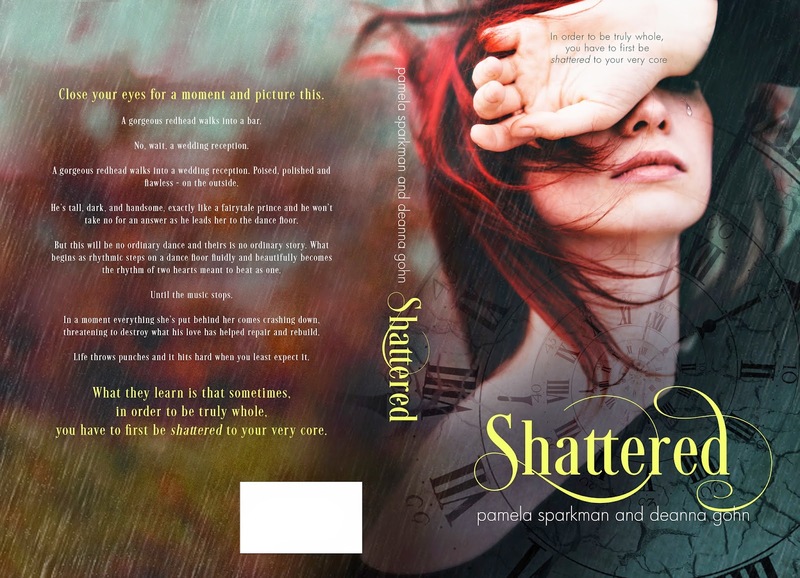 We’re excited to share the cover reveal for Shattered, by Pamela Sparkman and Deanna Gohn. Check out the gorgeous cover and excerpt, and be sure to let us know what you think! A gorgeous redhead walks into a wedding reception. Poised, polished and flawless – on the outside. He’s tall, dark, and handsome, exactly like a fairytale prince and he won’t take no for an answer as he leads her to the dance floor. 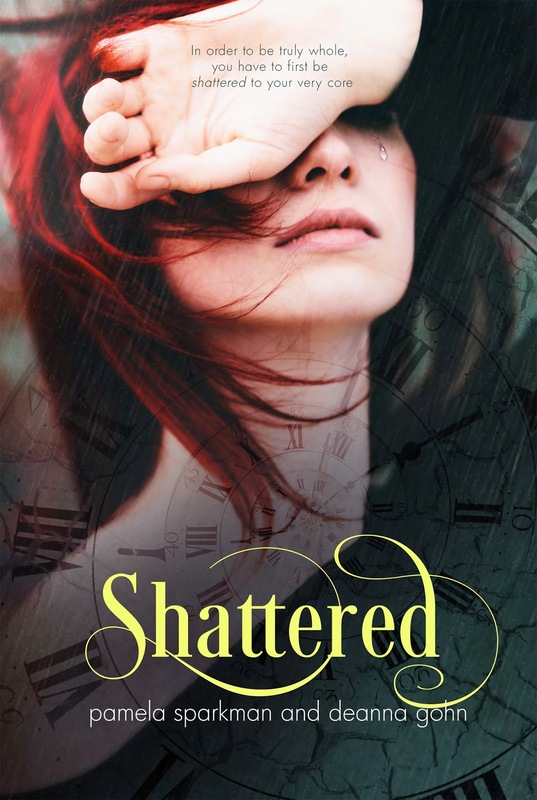 In a moment everything she’s put behind her comes crashing down, threatening to destroy what his love has helped repair and rebuild. The way he said my name so softly, with such reverence, it sent a shiver up my spine. He pulled me inside, closed the door and pressed me up against it. It was so fast I barely knew what was happening. And when he pressed his hands against the door alongside my head, I was cocooned inside his arms. He stared down at me with pained concentration. His eyebrows pinched together while deep blue irises burned through me. He breathed out a long deep sigh as he closed his eyes into thin slits for several seconds. My heart raced as I struggled to anticipate his next move. When his eyes opened, the intensity had subsided, but not disappeared. The burning desire behind them remained. His eyebrows smoothed, no longer pinched together. I had to close my own eyes as his warm sweet breath feathered across my lips. I was inundated with all of his emotions as they came flooding through me like a giant tsunami. Fast forward and the older I got the more in love with books I became. So, I’m admitting that I am a huge nerd. The only reading I don’t like are those math word problems. And I’m okay with that because no one has ever asked me in real life… “If I give you two bananas and take away six apples, how long will it take the southbound train to collide with the northbound train if Johnny left his house at midnight?” It just doesn’t happen. So, yeah, books are my thing.